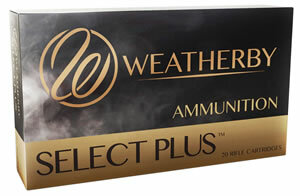 Weatherby ammunition offers a variety of premium grade bullets that are carefully selected for specific hunting applications. To meet varying needs, Weatherby proudly load the renowned Barnes Triple Shock X Bullet (TSX). Upon its introduction, the Barnes X Bullet was generally regarded as a quantum leap in bullet design, retaining virtually all of its weight upon impact and delivering superior terminal performance with lighter weight bullets. Get greater penetration and more one shot kills with the world's deadliest hunting bullet Barnes Triple Shock X Bullet.